Rossall School is a British, co-educational, public school (an independent school in England) in between Cleveleys and Fleetwood, Lancashire. Rossall was founded in 1844 by St. Vincent Beechey as a sister school to Marlborough College which had been founded the previous year. Its establishment was "to provide, at a moderate cost, for the sons of Clergymen and others, a classical, mathematical and general education of the highest class, and to do all things necessary, incidental, or conducive to the attainment of the above objects." Along with Cheltenham and Marlborough, Rossall was part of a flurry of expansion in education during the early Victorian period. These schools were later complemented by others such as Clifton, Wellington, Malvern and Radley. Set in a 161-acre (0.65 km2) estate next to Rossall Beach, Rossall is also a member of the Headmasters' and Headmistresses' Conference and was granted a royal charter on 21 October 1890. It accepts students between the ages of 2 and 18 and also has an associated preparatory school.This includes a Nuarcy, Infants, Juniors, Middle School, Senior School and 6th form . Rossall's campus has a large array of facilities for extracurricular activities and the school is home to the Lawrence House Space Science and Astronomy Centre, the only facility of its type in the UK. 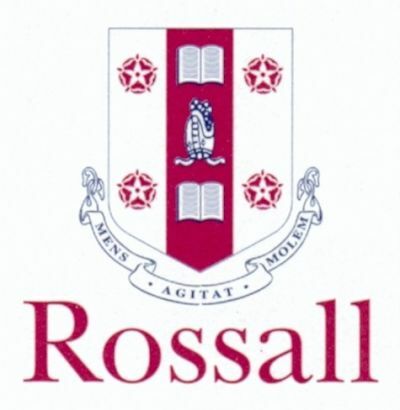 Over the years, Rossall has adapted itself to changing attitudes in education, and was the first school in the UK to have a Combined Cadet Force and one of the first to introduce the International Baccalaureate and host a dedicated international study centre on campus.